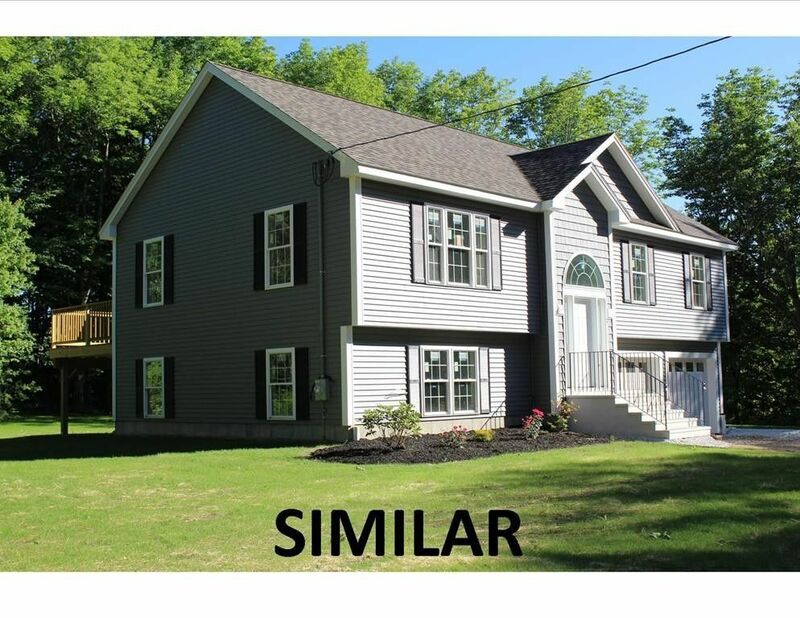 Bright and spacious new Split Entry on .57 acre lot in Barre with town water and sewer. Hardwoods in living room, kitchen and hall, granite countertops in kitchen and baths, tile floors in baths. 28' x 48' Main level with 3 Bedrooms/2 Baths and 1, 344 sf of living area, an additional finished family room with laundry on ground level with and an additional 600+ sf of finished living area. Sunny living room open to kitchen area with slider to 12' x 12' pressure treated deck and stairs to level back yard. 2 car garage and utility room in lower level. Very energy efficient home with forced hot water baseboard heat with high efficiency propane boiler. Nice yard area with room for gardens and fruit trees. Easy commute toward Worcester, Route 2 and the Springfield area. Walk-out lower level room included in in gross living area.